How an album cover became a cultural phenomenon▼. 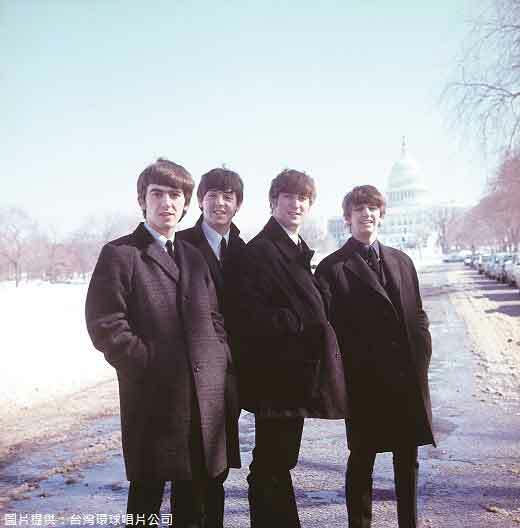 The last album recorded by the legendary British group known as The Beatles is entitled Abbey Road, after the address of the EMI studio in London where the band was working at the time. Although the album cover is among the most imitated and recognizable photos in rock-and-roll history, the photo shoot itself only lasted 10 minutes. From atop▼ a ladder, photographer Iain Macmillan captured history in the making as the four members of the band crossed the street outside the studio while a police officer held traffic. Six days before the album was released in 1969, John Lennon announced his departure from the band. Abbey Road went on to become the first album by The Beatles to sell over 10 million copies▼, and it remains one of their best-selling albums of all time. Because the band was so famous, their use of the crosswalk on Abbey Road made it a popular destination for tourists in London and fans of The Beatles' music. One interesting piece of Beatles mythology▼ uses the album cover to perpetuate▼ an urban▼ legend that surrounded the band during the 1960s. Some diehard▼ fans were convinced that there were clues left in the music and album art▼ that hinted▼ at the death of Paul McCartney, who wrote some of The Beatles' most famous tunes▼. 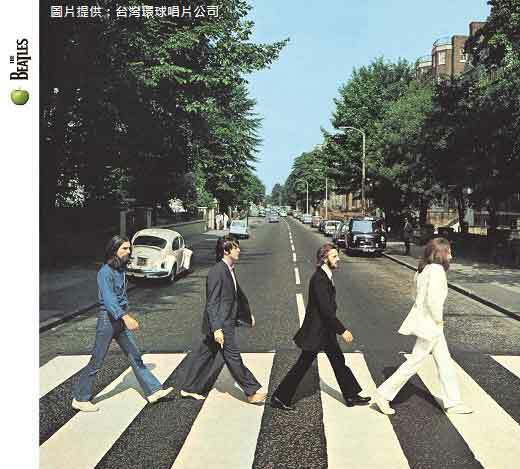 The appearance and order of the band mates▼ crossing the road is said to be a reference to McCartney's funeral procession▼. From the right, Lennon appears in white as the preacher, drummer Ringo Starr is the undertaker▼, McCartney is the corpse▼ with no shoes on, and lastly George Harrison is the gravedigger▼ wearing denim▼. Of course, these details were meaningless parts of a contrived▼ story, but the mystique▼ of The Beatles and their most beloved album endures. 1. How long was the photo shoot for Abbey Road? 2. Which member announced that they were leaving the band before Abbey Road was released? 3. What is NOT true about the album Abbey Road? 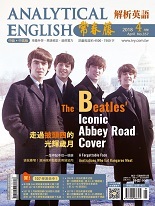 (A) It was the last album The Beatles recorded together. (B) It sold more than 10 million copies. (C) It is named after the location of the studio where it was recorded. (D) It was released in 1960. 4. What did some fans of The Beatles think that the album cover was a symbol for? (A) The funeral of Paul McCartney. (B) The legend of the missing shoes. (C) A sign that the band was breaking up. (D) A fashion shoot for a new denim clothing brand. Amy is known as a very talented actress. Bill is known for his punctuality. He is never late for his appointments. I believe that Hank is a great writer in the making. After eating two bowls of fried rice, Jack went on to eat dessert. We visited a museum named after a famous actor. In truth, our relationship is going nowhere, so we should break up. Dylan couldn't figure out why his girlfriend wanted to break up with him. On April 8, 1983, iconic American magician David Copperfield unveiled a stunning piece of magic. This film is about a legendary pianist who grew up on the ship. The legend came into existence shortly after the war. Everyone is entitled to certain rights regardless of how much money they have. According to the psychologist, children imitate their friends more often than their parents. Taipei 101 is an easily recognizable landmark in Taipei. The personalized license plate made it easy to recognize Mike's car. The police officer on duty last night captured the fugitive. Her date's sudden departure left Monica at a loss. David departed for New York to visit his uncle last Sunday. I am convinced that Jim can finish the project on schedule. With reference to Andy's attitude, there is a lot to be desired. Jessica found this essay utterly meaningless. We had a meaningful and constructive meeting this afternoon. Somehow the language endures and continues to survive. Nick's immune system has been weakened by the stress he endures at work. In January of 1999, the town recorded a temperature of minus 47 degrees Celsius. John has a poor record of attendance at school. The singer holds a record for having all of his album releases at number one. The athlete set a new world record for the high jump.